We provide International call services in Japan. Our staff also speaks Chinese, Korean, and Japanese. 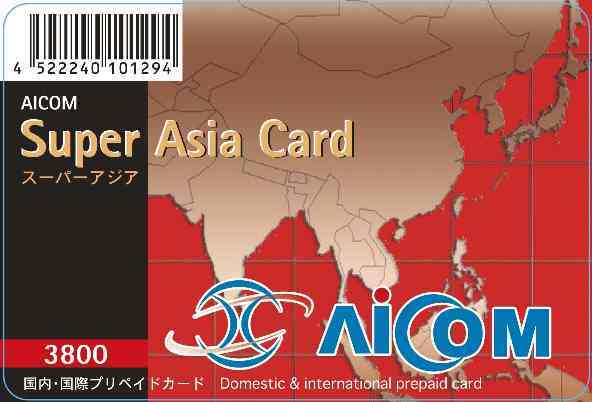 International calling cards for customers who call from Japan, including MCI Card, KDDI Super World Card, Gloden Chicken Card and others. 10% discount for over 25000 yen purchase of these cards. No postal fee for over 6000 yen purchase. If you wish to buy more than 20 cards, plase contact us. You will get lower prices. 100 yen discount per a card and postal fee exemption for customers who receive the ID number via email. We provide best rates for world countries, including China, Hong Kong, The Phillipines, U.S, U.K, Bangladesh, Brazil, Thailand, and Indonesia. You can call a foreign country via a broadband connected PC. It costs only 3 yen/min to call China. All you need is a PC and a head-set (about 1000 yen). Media Ring Co. based in Singapore provides this service. You can make a phone call even from fixed/mobile phones in China, Taiwan, U.S., Malaysia, Hong Kong, Singopore, and Japan. Please visit here for more details. If you use the above PC to Phone (Mediaring IP Phone) over the IP phone terminal instead of a PC, the connection quality will be improved and it will be more convenient to make a call. You can enjoy better voice quality. Also, note that it costs only 1 yen/min to call between the terminals. Your company can make the cheapest international call if you implement the terminals in your branches. 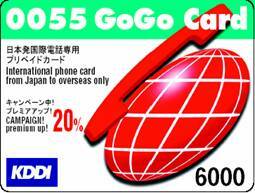 (2000yen/3200yen/6800yen) This card is most advantageous for mobile phone users. It is also cheapest for users who call the Philippines or Brazil from landline phones. Notice: Don't believe some "cheap" cards of other companies. You cannot use the card for the termed duration time. We have found a lot of cheating cards. (Out of Service) ♦ You can call an international call from a landline or mobile phone whose number is registered for this service. 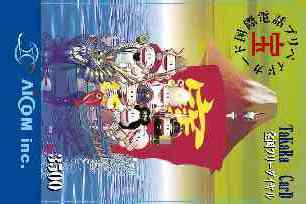 ♦ 5.0 yen/min for China. We protect the customer information using the 128 bit SSL.